Kimberly Einmo is an author, award-winning quilter, designer, international instructor and quilt judge. 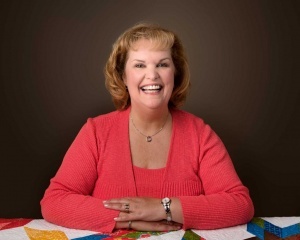 She has written six best-selling books published by the American Quilter’s Society including Modern Quilts & More, Precut Bonanza, Jelly Roll Quilt Magic, Jelly Roll Quilts & More, Quilt A Travel Souvenir, and Clever Combo Quilts. 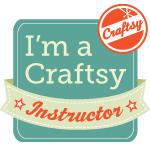 Kimberly has hosted five very popular online courses with over 112,000 students from around the world on CRAFTSY including the 2015 Summer BOM, Magical Blocks: Out of the Box, Magical Jelly Roll Quilts, Chain of Stars Mystery Quilt, and Amazing Applique. Kimberly writes a monthly column featured in American Quilter Magazine entitled “Kimberly’s Korner” and she has written dozens of articles and featured projects which have appeared in numerous publications including American Patchwork and Quilting Magazine, McCall’s Quilting and Quick Quilts Magazines, Best Modern Quilts, American Quilter Magazine, Quilters’ Home Magazine, Japanese Patchwork Tsushin Magazine, Down Under Quilts, Irish Quilting Magazine and Studios Magazine. In addition, she has appeared on television and radio programs such as America Quilts Creatively and the American Quilting and Patchwork Radio Show. She has won many prestigious awards including Best Modern Quilt for “Fire and Ice” in 2014. 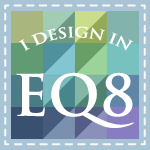 Kimberly is a featured EQ Artist for the Electric Quilt Company and she has designed companion software packages to accompany three of her books including, Clever Combo Quilts, Jelly Roll Quilt Magic, and Jelly Roll Quilts & More. 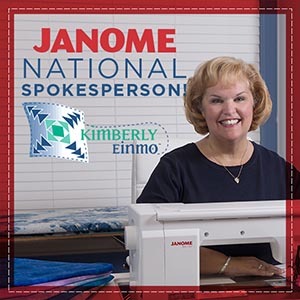 She has proudly represented several prestigious groups as one of Janome’s top Artisans, as a BERNINA Ambassador, and as a Pfaff Sewing Star. Kimberly has developed a signature line of innovative quilting tools including her newest, the Precision Precuts Ruler, along with others including the EZ Flying Geese Ruler, EZ Jelly Roll Ruler, EZ Hearts Cut Tool, and the EZ Pineapple Ruler. She loves to travel and has visited almost every state in America and travelled the world extensively to lecture and teach. She headlined at the Prague Patchwork Meeting in the Czech Republic three different years and she has taught quilting classes on more than two dozen quilting cruises to destinations including Alaska, the Caribbean, Mexico and Europe. 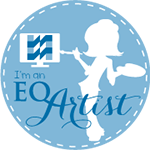 Most of all, she loves to meet quilters from around the world and share her joy and passion with everyone. Next up? Kimberly is excited to design exciting new fabric lines!